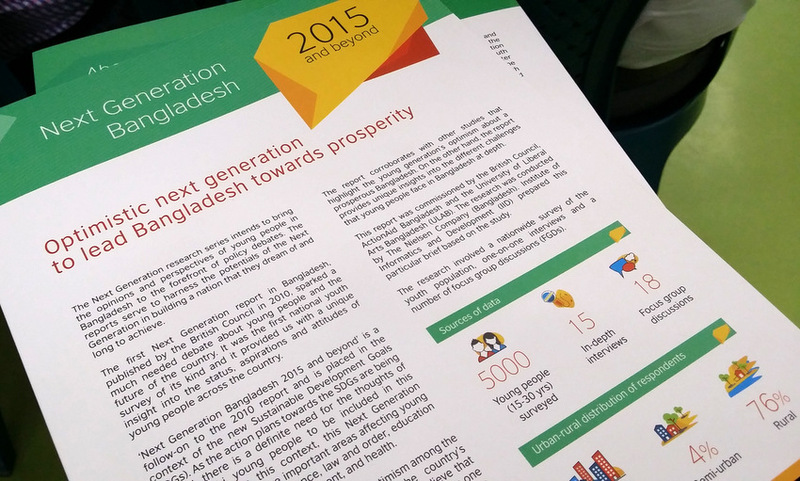 The Next Generation report 2015 reveals that 60 percent of the youth believe Bangladesh is heading in the right direction, and 82 percent believe democracy is more important than economic growth for Bangladesh. 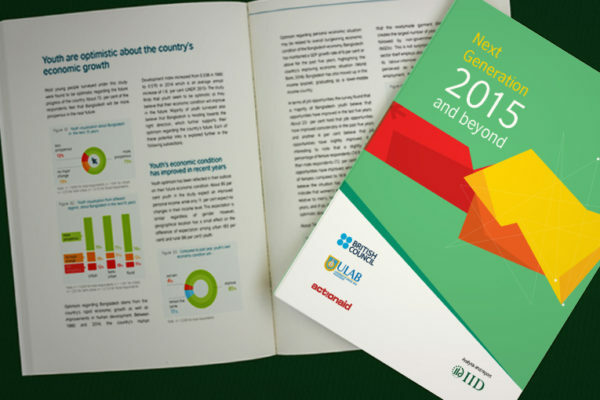 The report records inspiring optimism among the young people, 75 percent of whom believe that in 15 years the country will be more prosperous than now, and 85 percent believe that their own economic condition will improve between 2014 and 2015. However, they have also raised concerns over a number of issues which include political instability, corruption, inadequate healthcare, and poor transport system as impediments to Bangladesh’s development. Only 24 percent mentioned that they casted vote in the 2014 national election, while 33 percent did not cast vote, and 31 percent were not registered as voters (respondents included 15 to 30 year olds). 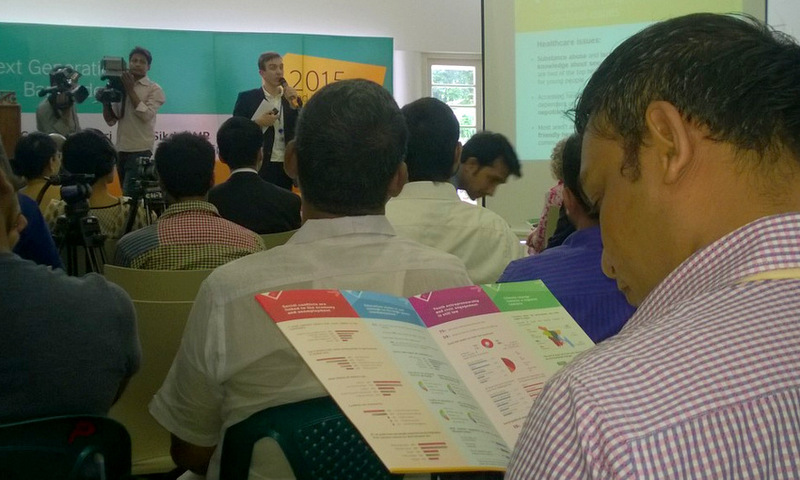 However, 87 percent of the youth mentioned that they plan to vote in the next election. 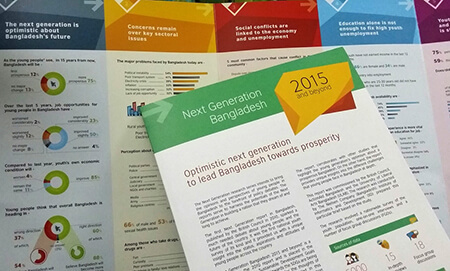 The survey was conducted among 5000 young people across the country as part of the Next Generation research that was commissioned by the British Council, ActionAid Bangladesh and the University of Liberal Arts Bangladesh (ULAB). 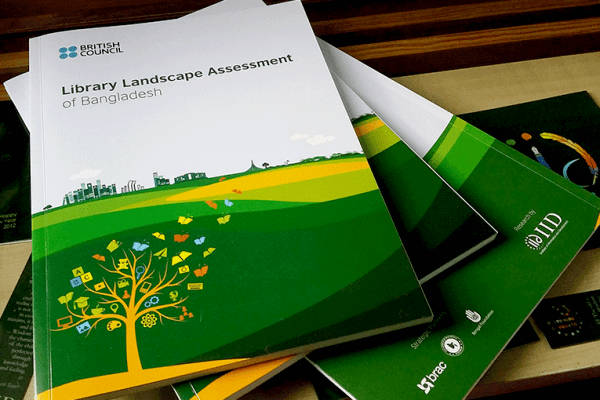 IID was contracted for analysis and reporting of the survey findings. 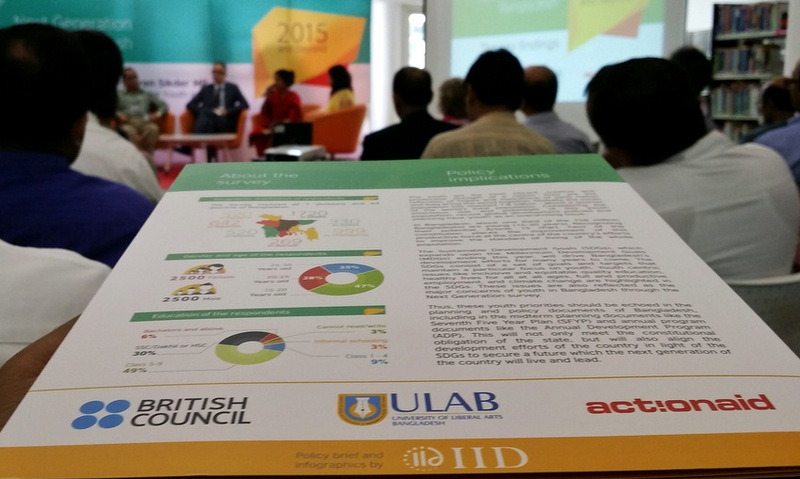 The policy brief prepared by IID was presented at the British Council on 9 September 2015. State minister for youth and sports Shri Biren Shikder, MP, Deputy British High Commissioner Mark Clayton, Director of the British Council Bangladesh Barbara Wickham, Vice Chancellor of the University of Liberal Arts Bangladesh (ULAB) Professor Imran Rahman and Country Director of ActionAid ‎Farah Kabir were present at the event among others. IID is currently working on the data analysis for the full report which is expected to be published by early October this year.